Ben Parker came to Zambia to sell microlight airplanes and met Will Keene through a mutual friend in 1987. Together they started constructing their dreams of planning safaris in Zambia. What started with five simple chalets in 1990 soon became a sprawling green expanse of luxurious cottages and lodges complete with their private gardens and pools. 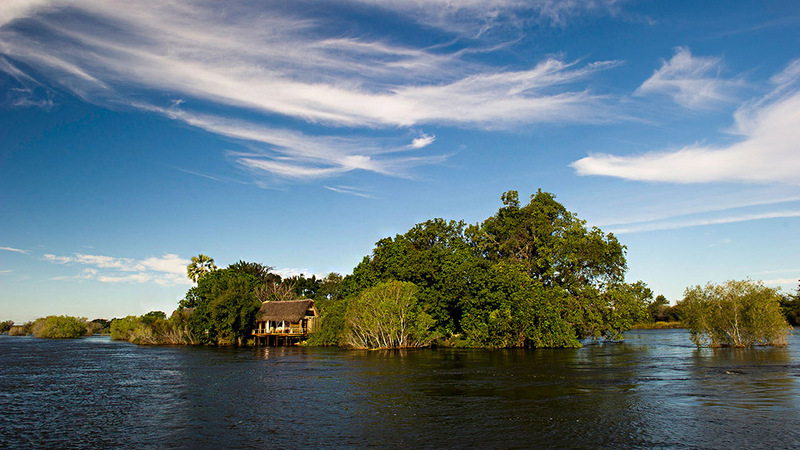 Ben Parker currently has a lease for Livingstone Island that makes it possible for all guests of Tongabezi to explore the island and retrace the footsteps of David Livingstone. 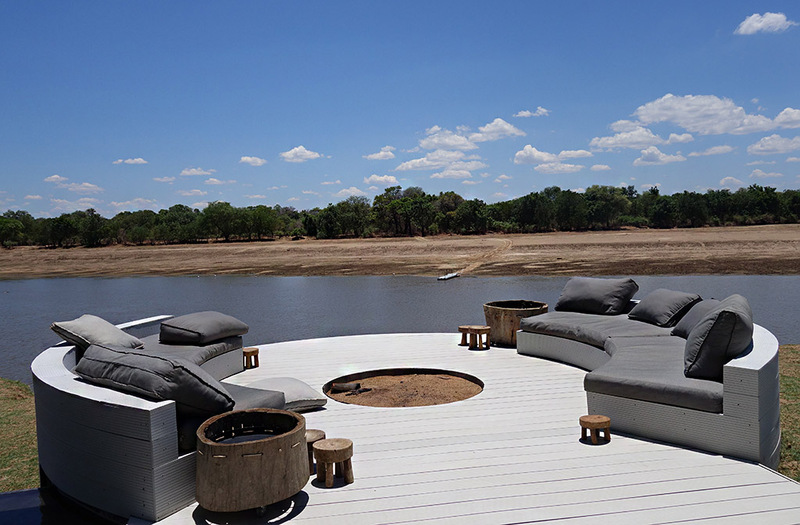 2010 saw the addition of Lookout – an open-front structure built for people to just sit back and revel in the beauty of the Zambian landscapes. Tongabezi is a testimony of 25 years of hospitality and success. Since its inauguration in 1990 this lodge has served as an abode for thousands of guests from all corners of the world who wanted to spend a few days in the laps of nature. 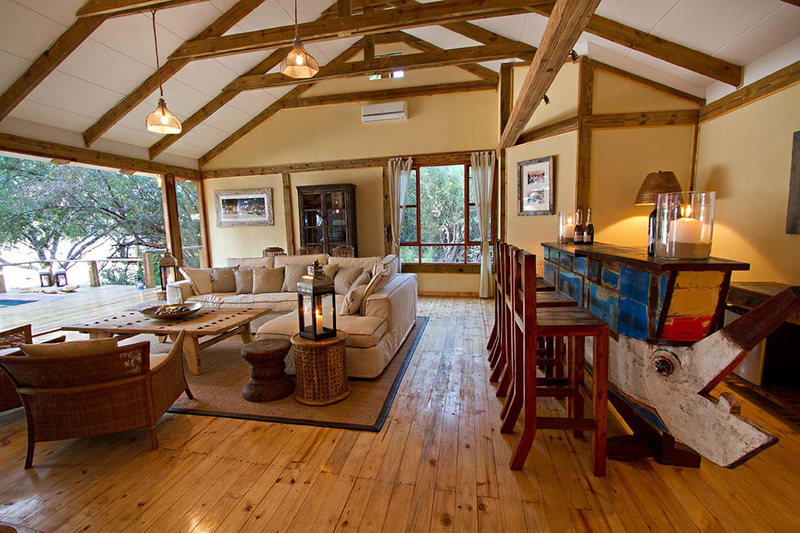 It is rich with wildlife and the safaris are only a hundred meters from the property. Tongabezi is a delight for romantic couples and adventure seekers. Life at Tongabezi is never sedentary; you can choose to participate in as many or as little activities as you want. 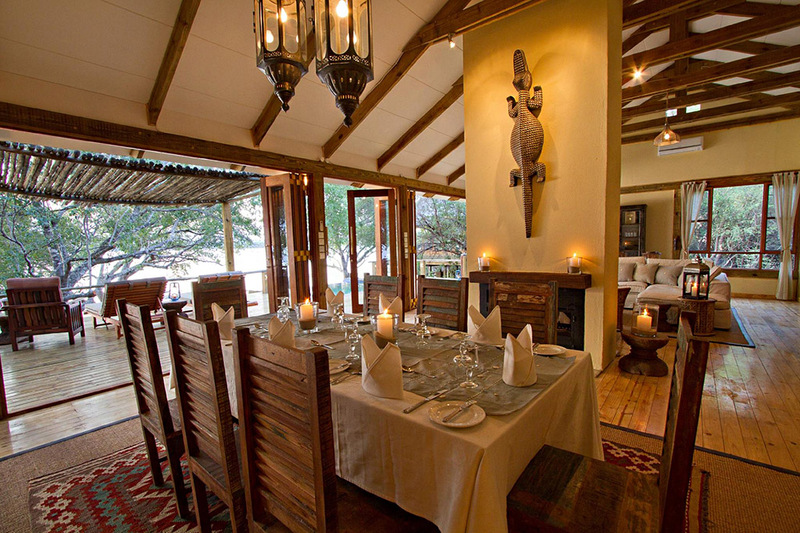 The interior design of Tongabezi lodge sets it apart from the rest of its kind. It is a beautiful blend of African heritage and western utilities. It is the heavy influence of African culture and design that gives Tongabezi its distinct personality. Every room and suite has its own story to tell. 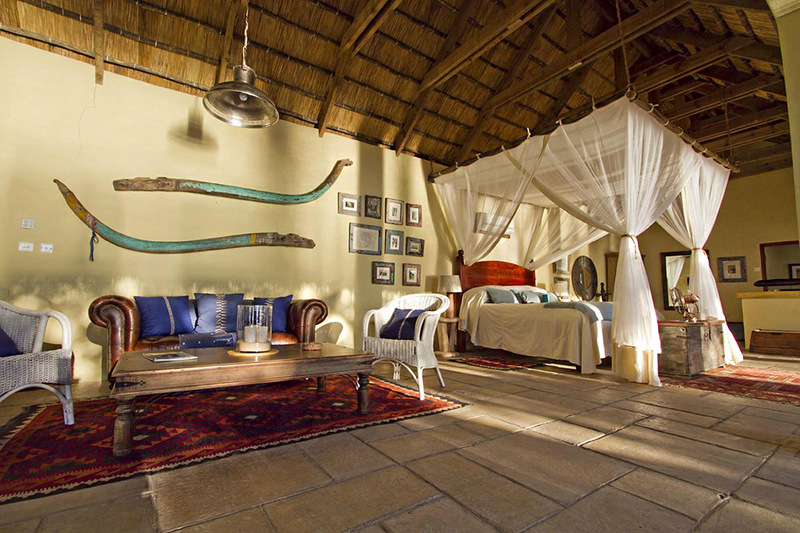 Tongabezi has 11 rooms in total with different tastes of décor and amenities to appeal to different groups of travelers. The Dog House has three separate decks and provides a perfect getaway for friends and families who are searching for solace far away from the city crowds. The Dog House is a part of an ethereal world that is connected to this one via elevated walkways. 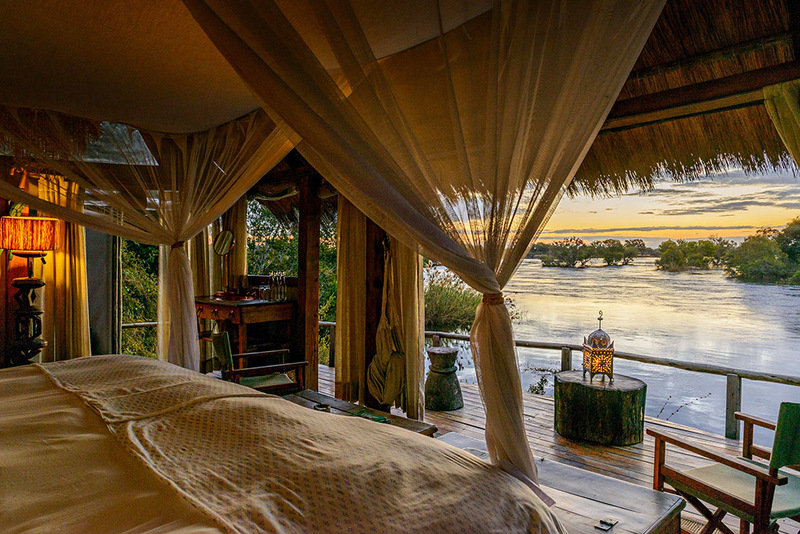 During the high-waters, the Zambezi River runs underneath the rooms creating a true fairytale setup. Enveloped in tall pine, embraced by the waters from the mighty Zambezi, Tongabezi Dog House is the perfect option for a group of 5. 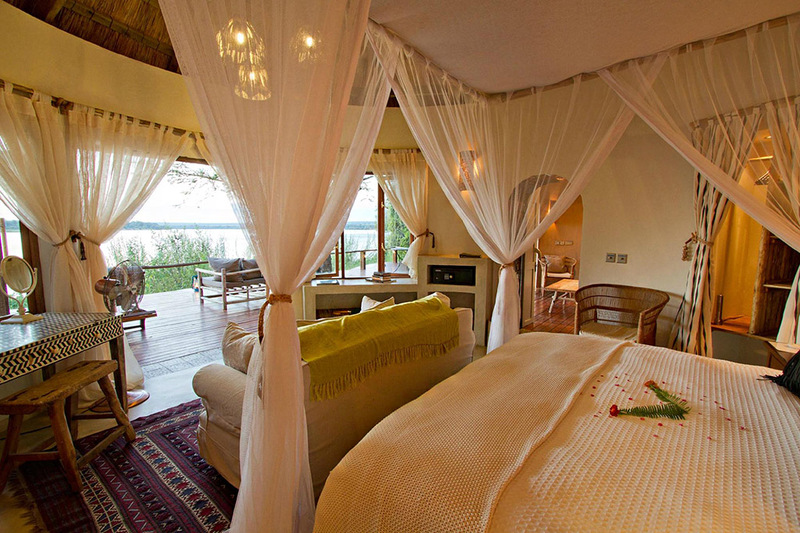 The Tree House is the perfect option for you if you want to rekindle some long forgotten romance. It is also incredibly famous among honeymooners who love the sense of seclusion endowed by the Ebony thickets that surround the cottage. It is set on the branches of three massive ebony trees against a backdrop of basalt rock bed. It is spacious and houses a king size bed with canopies and air conditioning; the floor is spacious and provides enough space for a romantic dinner. The bathroom is the crown jewel of the Tree House. It is complete with a claw footed bathtub accentuated by Asian chests and Anatolian collectible rugs. The position and open-front architecture of the tree house ensures that you can enjoy all the beauty of Zambia without setting a foot outside. 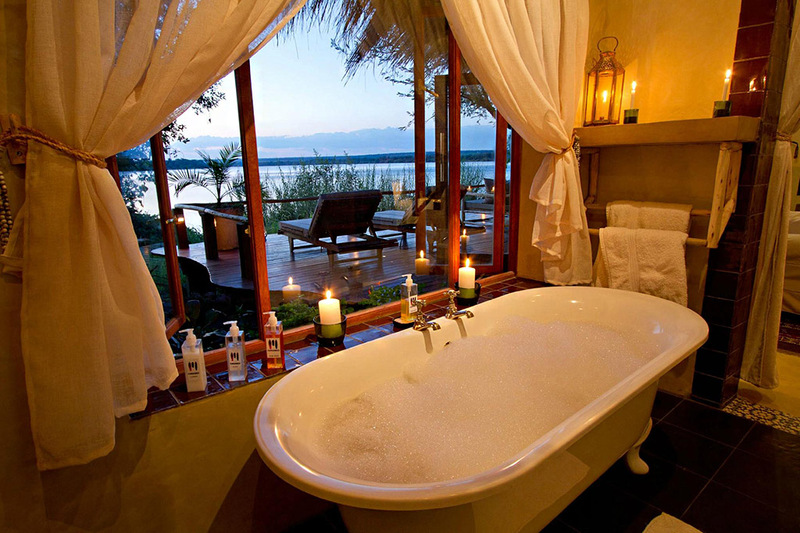 The Honeymoon House is the meeting point of all the love and romance in Zambia itself. 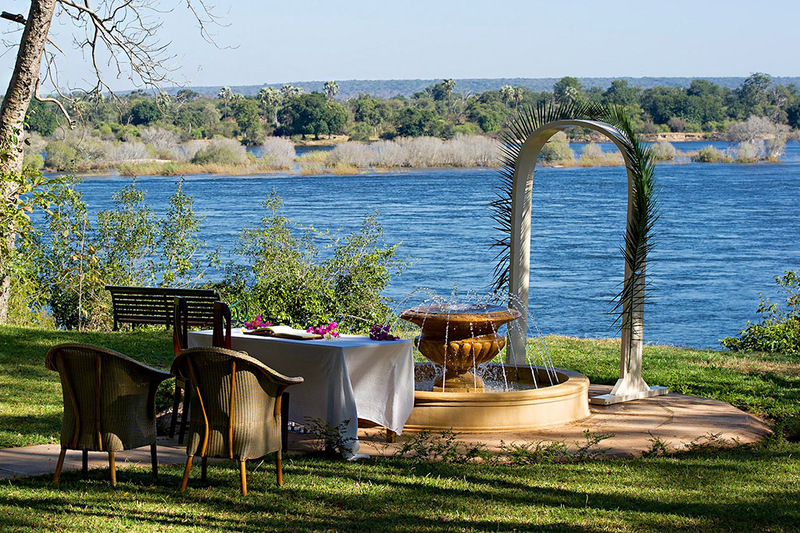 It features your own private balcony overlooking the Zambezi River that can become the setup for a romantic candle-lit dinner within a few hours notice. It also has an open-front design that gives a perfect view of the breathtaking river and the forest from inside the cottage itself. The Bird Houses are open-fronted thatched houses that are exclusively known for the magnificent view of the sunsets they offer. Imagine spending your evening with a tall glass of cool wine with your love watching the sun go down on the Zambezi River, without setting a foot outside your cottage. This is the perfect option for the lazy lovers who want to indulge in each other’s company without any interruptions from the outside world. The Nut House is an exceptional architectural specimen with its Moroccan tile settings on the floor and built-in beds and seating areas. It is quite a unique experience for everyone who ventures into the private world of the Nut House. 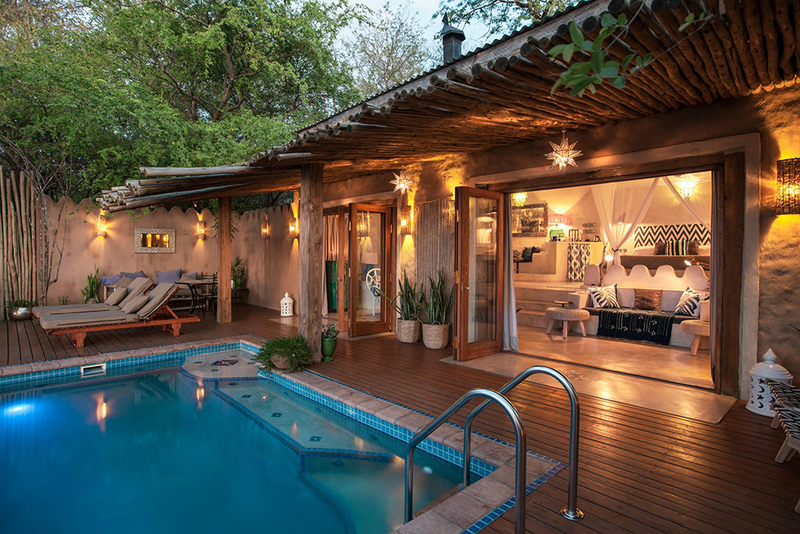 It features a private pool that steals the show; it is completely built from natural, sustainable materials that complement the natural surroundings of the Tongabezi lodge. The Garden House is an exclusive chance for friends and families to indulge in luxury together. It features 2 full size bedrooms with king size beds and twin beds. It features a private garden and a plunge pool. If you are interested in outdoor activities or keeping your kids occupied while you rekindle your old romance, you can avail the services of your personal valet. He is usually the one who arranges for special activities and meals for the younger guests at the Garden House. 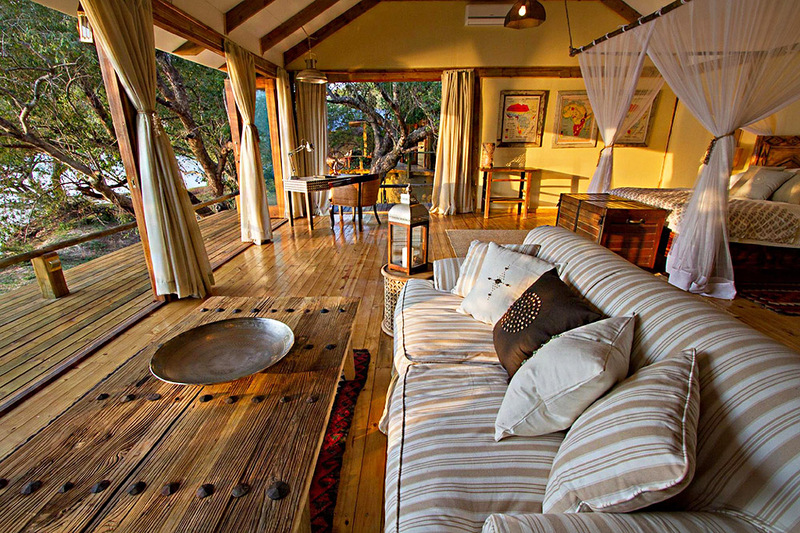 Every room at the Tongabezi lodge guarantees a splendid panorama of the Zambezi River and the surrounding canopy. You can also avail valet services for the other rooms. But the bathrooms definitely steal all the attention with their exclusive attention to detail. The minute attention to every element of comfort helps all the guests at the Tongabezi lodge to unwind after a day filled with adventures and activities. 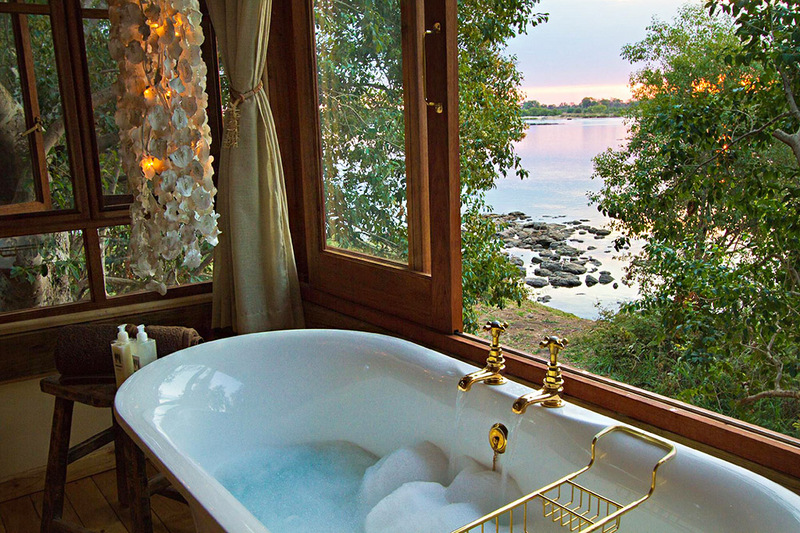 Although the cottages at the Tongabezi lodge offer you an exclusive view of the river and the surroundings, you may be looking for something more to complete the Zambia experience. To help you fill you memory with priceless adventures and breathtaking sceneries, the lodge organizes several inclusive activities for all guests. Here’s a quick look at some of them, each wonderful enough to add a special experience to your vacation and stay here. Enjoy a canoe trip down the imposing Zambezi River. You can get a closer look at the wildlife that thrives in the jungles and marshlands surrounding the river. Then, there’s Sand Bar, a Tongabezi lodge exclusive where you can enjoy a cooler or a dinner on the sand illuminated by the setting sun. Consider the Sunrise boat trip, it gives you a once-in-a-lifetime chance to watch the sun rise from behind the green canopies as the birds wake up the surroundings with their morning calls. Another option is The Victoria Falls, majestic even during the times of August to January when it’s possible to walk along the lip of the falls or bask in sunlight on the lip. While your stay at the Tongabezi lodge, do visit the Sandbar for a wonderful wine and dine experience with your loved one(s). 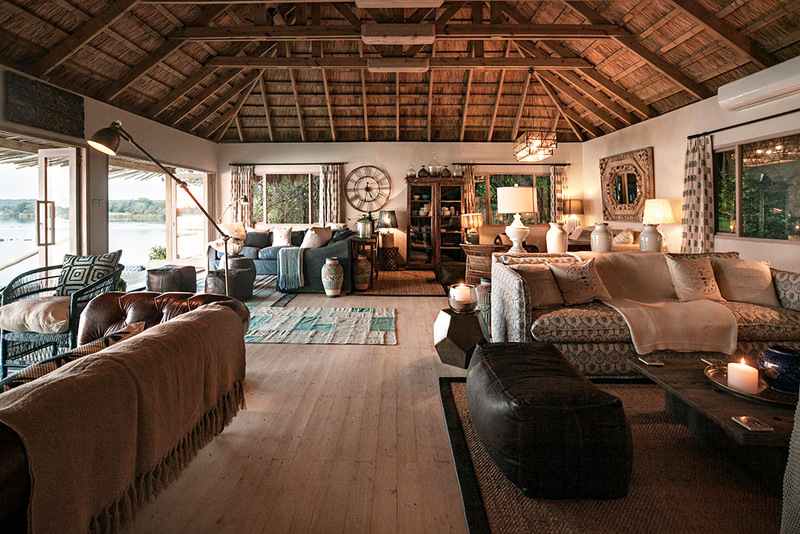 The list of activities at the Tongabezi lodge, Zambia is never ending. So we recommend a stay of at least 3 days and 4 nights to cover most of the activities and sites. Carry mosquito repellent creams and sprays. Preferably go for long sleeved clothing during your stay at the Tongabezi lodge. Please contact your healthcare advisor for malaria preventive and prophylactic medication at least 6 months before your trip. A Visa is mandatory for your travel and stay in Zambia. You may want to apply online in advance for making your travel and stay smooth and pleasant. Your luggage allowance will depend upon the smallest plane you take on the route. It can be as less as 12 kg per person. So pack wisely. If you are planning to visit us between May to July do not forget to pack some warm clothes. African winters can be chilly during the mornings and nights, but comfortably warm during the day time. It is advisable to book special dinners and lunches in advance to prevent waiting lines and last moment cancellations. It is also advisable that you keep your tetanus vaccination up to date. 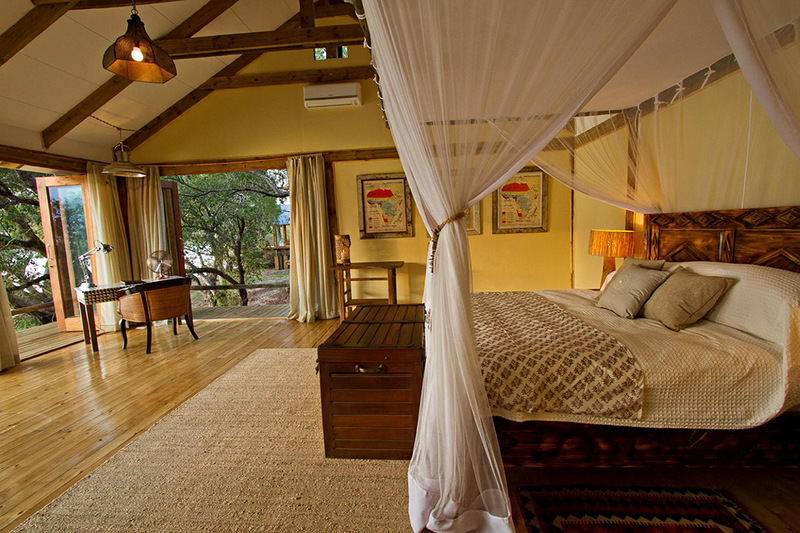 Your stay at Tongabezi is bound to be among the best days and best memories of your life, worth cherishing forever.